What a great adventure this engagement session was! I met Ryder and Kailey in Fulton, MO. at the most beautiful and serene blue-green lake. Can you believe this wanderlust location is situated right in the middle of Missouri?! We hiked along the red clay trails surrounding the lake with pine trees towering above us as I got to know Ryder and Kailey and how their relationship began. As it turns out, they were set up on a little blind date. While they were waiting on thier friends to arrive to the double date (who were about half and hour late, which I totally believe had to be by design) they got to know one another pretty well. Ryder and Kailey have been nearly inseparable ever since. 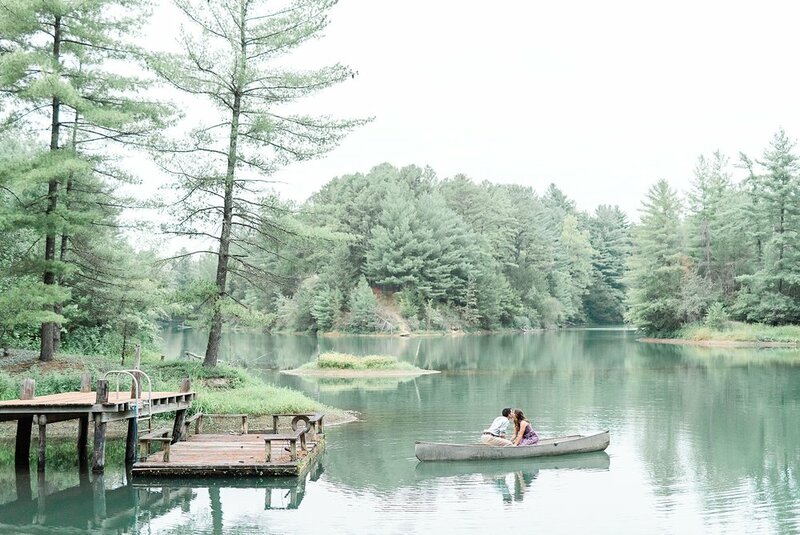 Adventure and the beautiful landscapes of the outdoors hold a very special place in this sweet couple's hearts. 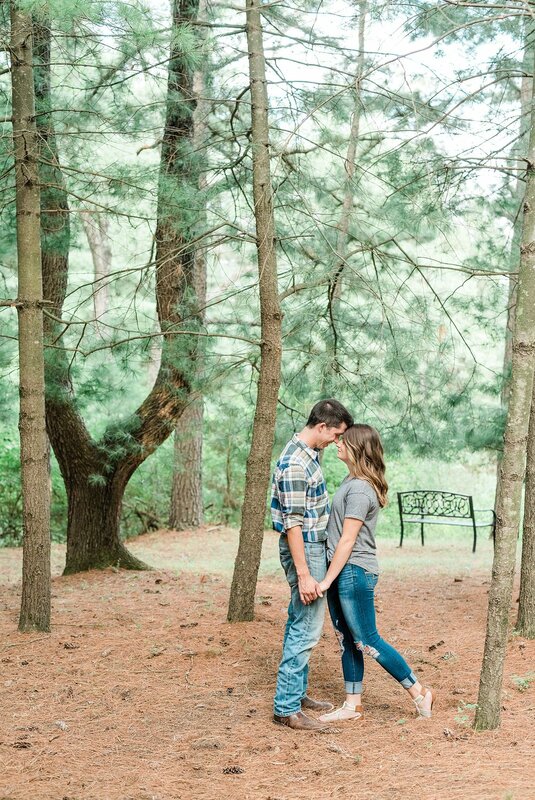 Towards the end of their session, Ryder and Kailey reminisced on their proposal story: "About a year ago I had a dream that Ryder proposed to me with a wooden ring that had the weirdest stones and engraved blue glowing lines. It just shocked me so much that I didn’t know that to say. When I told him about it we laughed for hours. Fast forward a year later, we were on vacation to Yellowstone and Grand Teton to sight-see for a week. We saw waterfall after waterfall and actually climbed a mountain together. Later in the week we hiked down to the Virginia Cascades and he fooled me into taking a photo with him using our tri-pod, but he was actually taking a video of his proposal! He pulled out the ring, but he had a weird look on his face when I said yes. It turns out that he was going to propose with a ring that he made to look exactly like the one from my dream but he got them switched up with my engagement ring in his pocket. We laughed about that for a while, but he did a really good job re-creating the ring from my dream!" This adorable couple will be tying the knot at Wildcliff in Blackwater, Missouri in June of 2019! Enjoy your preview, Ryder and Kailey!